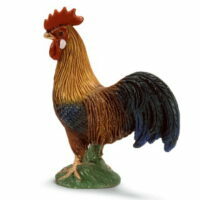 This Schleich.org.uk is the Official Schleich Index for Toys&Learning – UK Specialist Toy Shop since 2007. Go direct to the Toys&Learning/Schleich website where you can see all Schleich products. This item is one of our own favourites – the quality & detail are brilliant. The recommended price is £99.99 – for savings of 25% & more see this item at Toys&Learning. 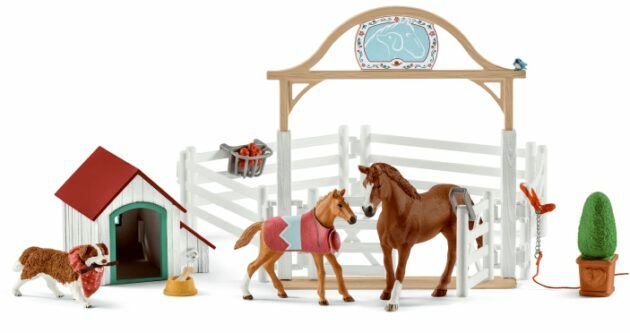 The Schleich Pick Up with Horse Box is one of the very best and most popular horses items. The Recommended price is £49.99 – for savings of 25% and more see this item at Toys&Learning. Choose from the whole Schleich range of brilliant models from farm animals to fantasy fairies – all on show at Sale Prices at Toys & Learning – 100% – Fast Service – Sale Prices. The range of Schleich medieval soldiers and knights armed with swords crossbows and other fierce weapons, both on horse back and standing fighting is a range for the imagination of any child. Now Schleich have added a whole range of knights along with the matching dragon rider and griffin rider – the dragon knights come in a cool black and red outfit whilst the griffin knights have a sophisticated blue and gold dress. These historical models are a superb way to widen the horizons of children and set them on a path of learning world history. Schleich Toys Specialists – 100% Fast Service – Sale Prices. 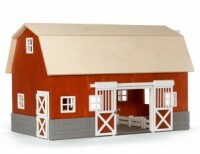 People & Accessories is a category covering all sorts of bits and pieces – Schleich produce little figures of farm and horsey people as well as farm vehicles, fences, horse jumping sets and even a range of trees. Some of the bigger items include this barn – a stable – and a corral for wild animals. When a young child’s own imagination takes off it is great fun to watch them as they begin to play in a world of their own. Schleich produce some wonderful quality fairies and elves that a child can spend hours playing with and yet can stay with them as a memory of a happy childhood family life. For everyone interested in horses there has to be a Schleich model that fits. From country ponies to top show jumping horses we have here a fantastic range of breeds. Here we have the horses – for horse sets with horse and rider or for riding sets to go on a horse see people and accessories. These are a must for every young child – their very own farmyard full of animals they love to play with and mimic the animal noises. From the clucking of the hens – the quacks of the ducks – mooing cows – oinking pigs – and even this majestic cockerel. Schleich make these farm animals to be both a joy to play with and then keep as a lifelong collection. These are the majestic beasts of the wild – the real African Safari animals plus much more – this is where Schleich excel – everyone can learn about nature in the wild – a collection of these animals is a great way to set a child off on their own journey of discovering the magical quality of the world around them. Do Schleich have your favourite pet here? – We have dogs and cats here – as well as rabbits and tortoises. We can understand pet guinea pigs and even white mice – but a bright green frog does seem a little extreme – jolly pretty though! These dinosaurs are fantastic value for money – for any child starting to learn about the history of planet earth and the environment around them these Schleich dinosaur models are one of the very best starts. Loads to choose from – all equally ugly! Schleich UK Specialists – Toys&Learning – UK Specialist Toy Shop since 2007. Schleich have been around quite a while now – with their origins in the 1930’s – switching across to toy making in the late 1940’s. The principles of quality throughout every aspect of the thinking designing manufacturing and supplying have been apparent since their very early days. 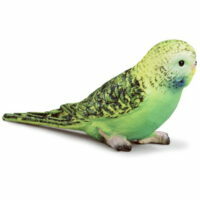 Today Schleich are world wide market leaders in making value for money top quality models. All their models, toys, figures are brilliantly moulded and then finished with hand painting. You just can’t find a better range or better quality. When Toys & Learning started as an online educational toy shop we provided a wide range of educational toys that had been designed as toys to be educational. Hence our change around – we now specialise in the best models available in the UK from Schleich, Papo and Breyer – because of our background we also sell our own selection – The Best Selection Range – of enjoyable toys that widen children’s horizons. Schleich, Papo and Breyer between them cover a huge range from designer quality horse models from Breyer through brilliant French design of Papo to the fantastic quality of Schleich products covering horses and accessories, farm animals, wild animals, pets, dinosaurs, dragons, fairies and elves, along with a whole host of gift sets. A sister website to Toys & Learning. We have put together a separate site for a few of our key suppliers – with links into Toys & Learning – to help customers have an overview of that brand and see what it is that sets them aside from others, and to help gain easy access to the products they want.